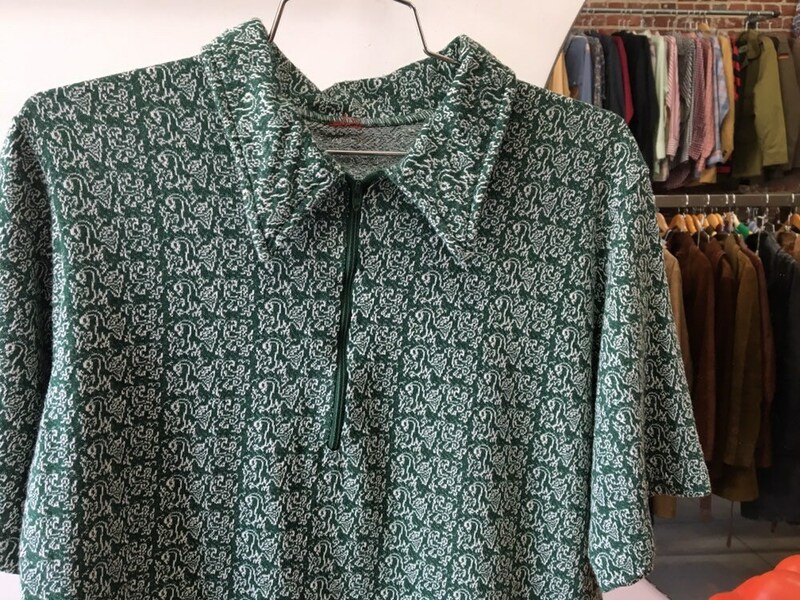 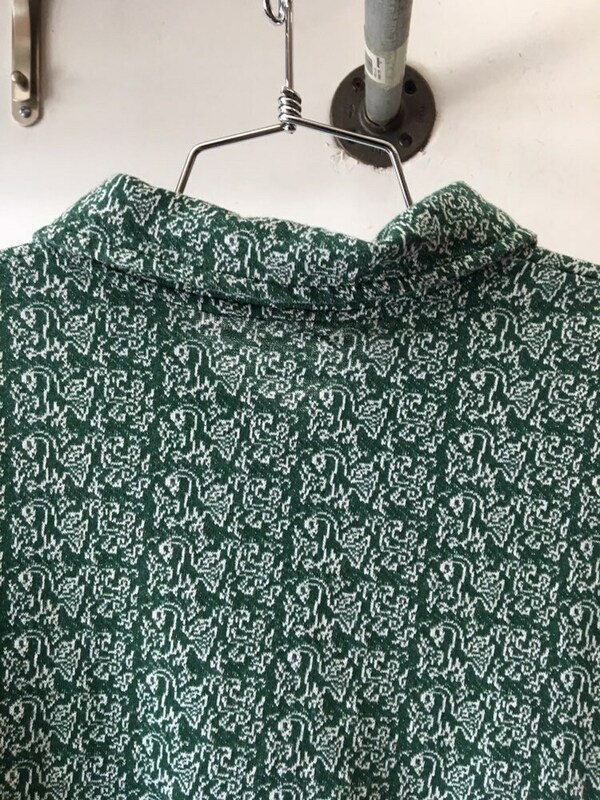 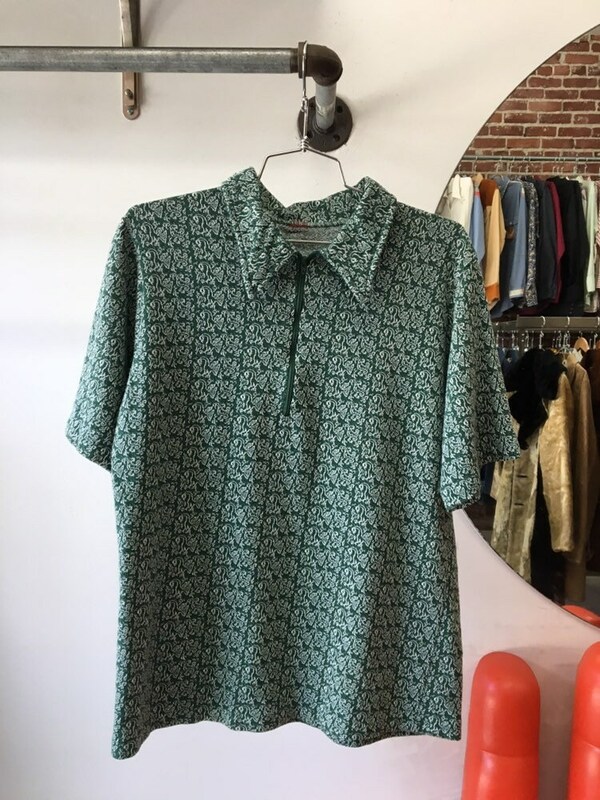 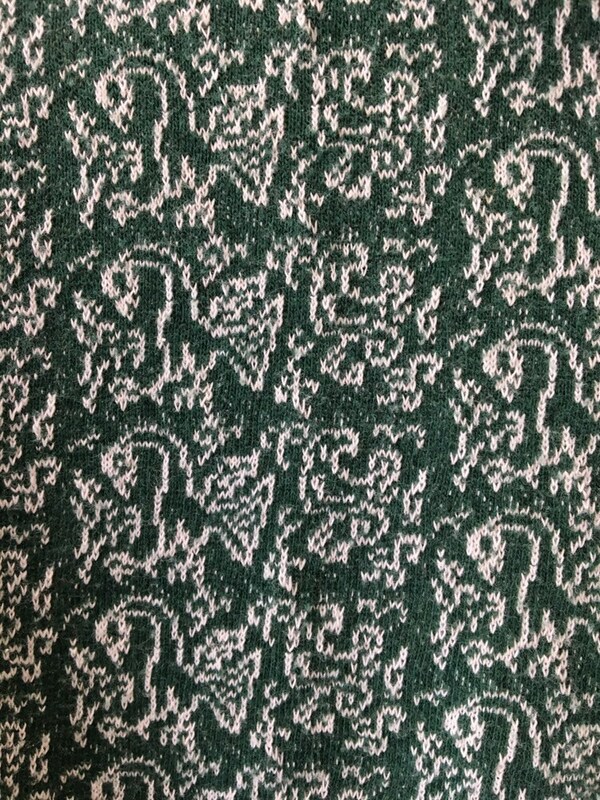 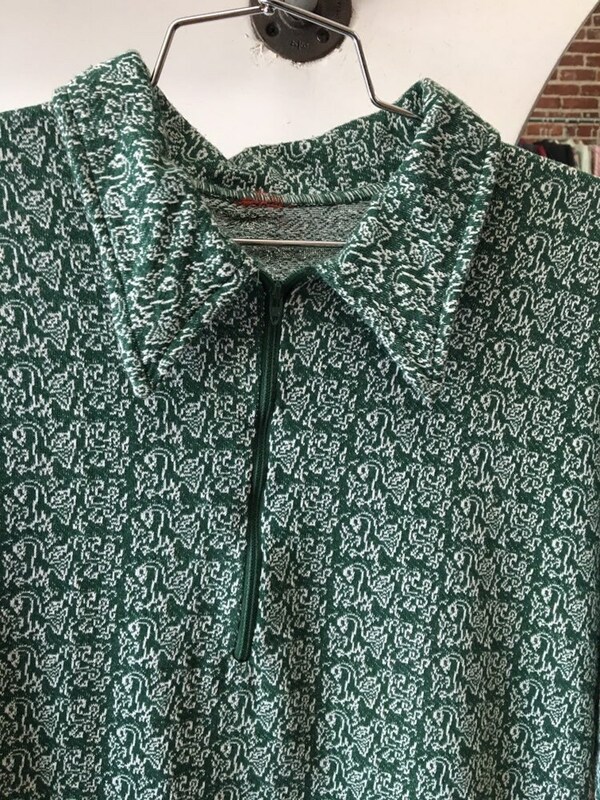 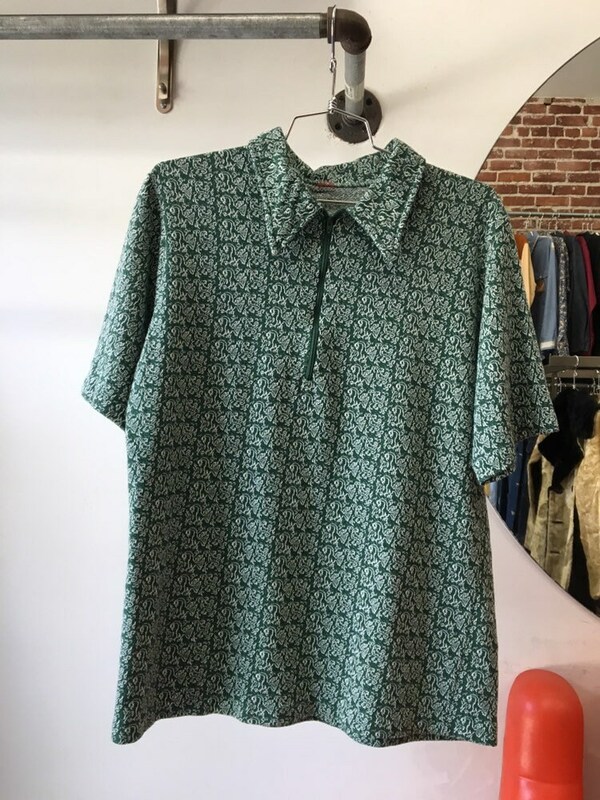 Fantastic men’s seventies woven cotton green polo. 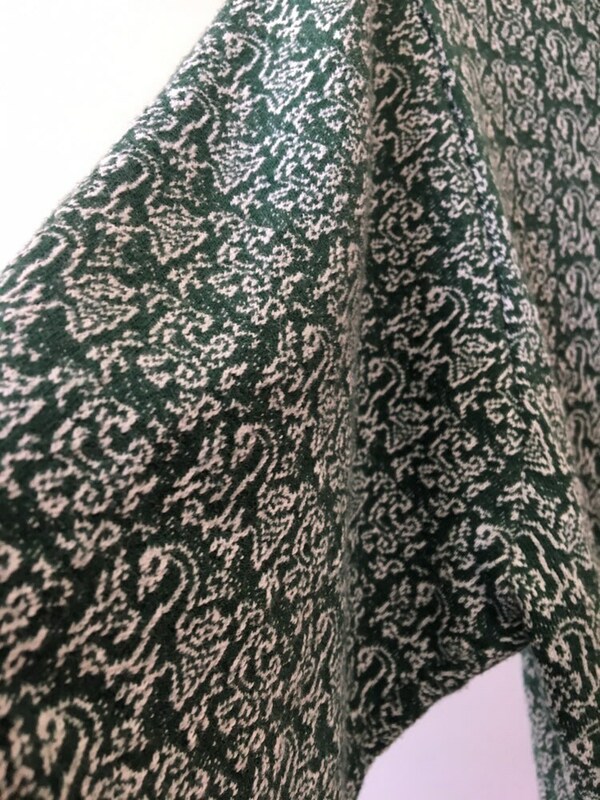 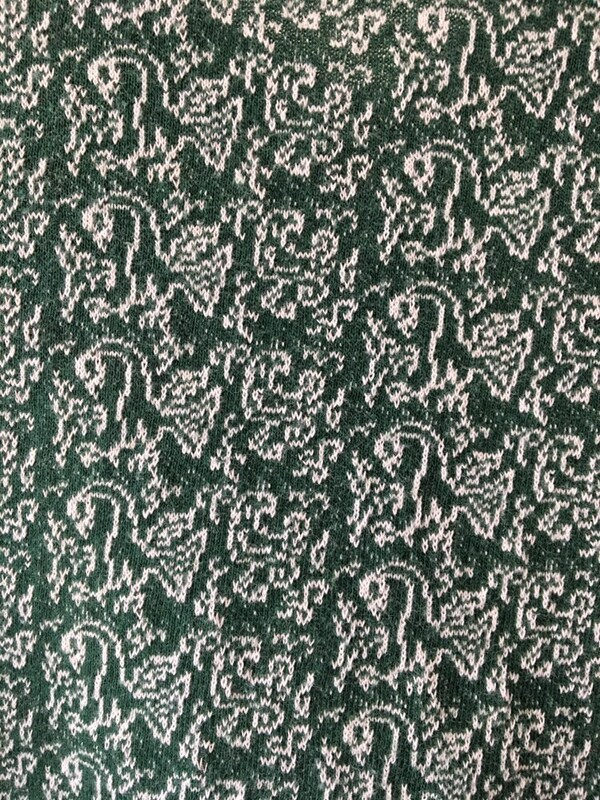 The print looks like the animal is either a dragon or a bird. 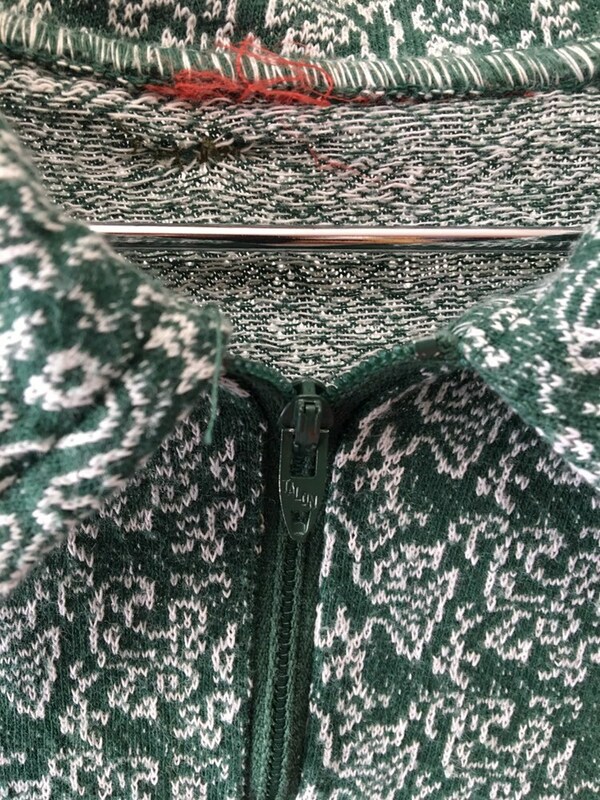 The woven cotton is so soft. 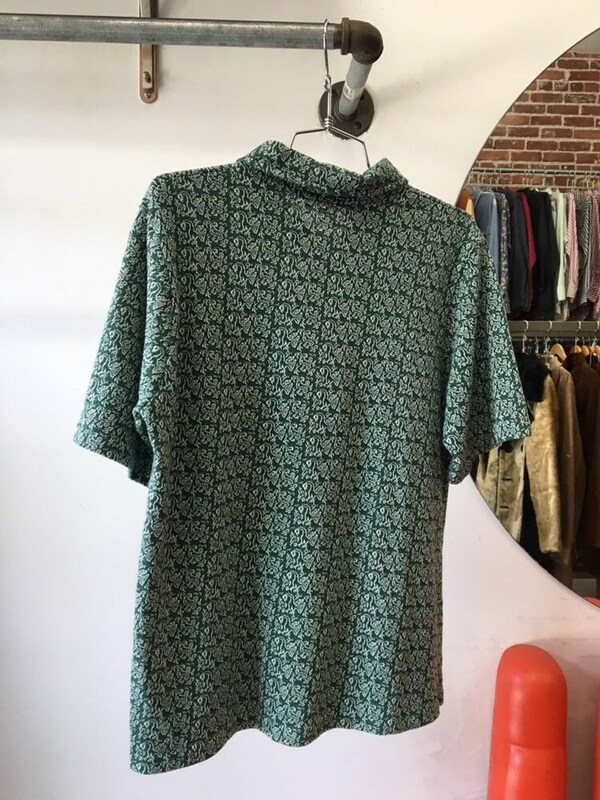 Amazing piece from the ‘70’s.